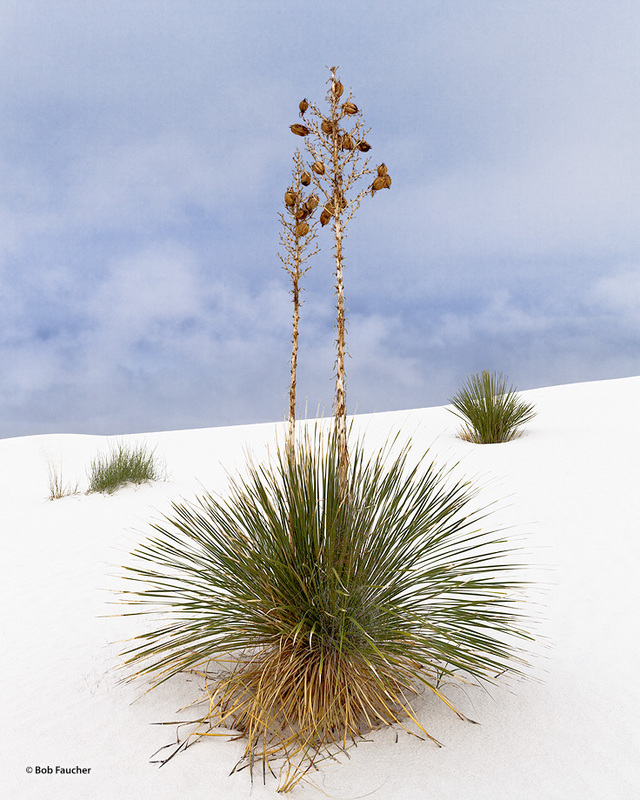 Soaptree yucca (Yucca elata) is the state flower of New Mexico. Here the blooms are spent, the seed pods open, and the seeds dispersed. Photo © copyright by Robert Faucher.